AirAsia is having their RM1 Sale, valid for for 72 hours only! Hurry, book now to enjoy great savings. Take your loved one for free and fly away for a lovey-dovey holiday! Booking period is from 21 - 24 Feb 2019. Exclusive deals for Hong Leong Bank cardmembers. Enjoy 8% off hotels in UK and Italy. Promotion is valid for bookings made from 1 Jan - 28 Feb 2019. For 72 hours only from now until 31 Jan 2019, enjoy 20% off fares on all seats aboard all domestic flights! Hotels.com is offering you a coupon code. 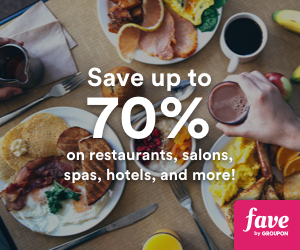 From 12 - 17 Dec 2018, use the coupon code to enjoy an additional 7% off on all hotels booking. It’s 12.12! Hurry, book your flights for the year-end holidays right now to enjoy up to 30% off fares and other add-ons. Return for free Sale starts now! Grab your free ticket today. Booking period is from now until 16 Dec 2018. Great weekend travel deals exclusively for Visa cardholders are here. Enjoy up to 20% off fares to all Malaysia Airlines destinations when you book with your Visa card. It’s AirAsia 17th anniversary! What better way to celebrate than their low fares from as low as RM17, all-in fare! AirAsia is having a promotion. You can now fly from Kuala lumpur to Fukuoka, Japan from RM199 only. Booking period is from now until 9 Dec 2018.